Antibody. Computer graphics illustration showing the general structure of an antibody, against a background of Mycobacterium tuberculosis bacteria. 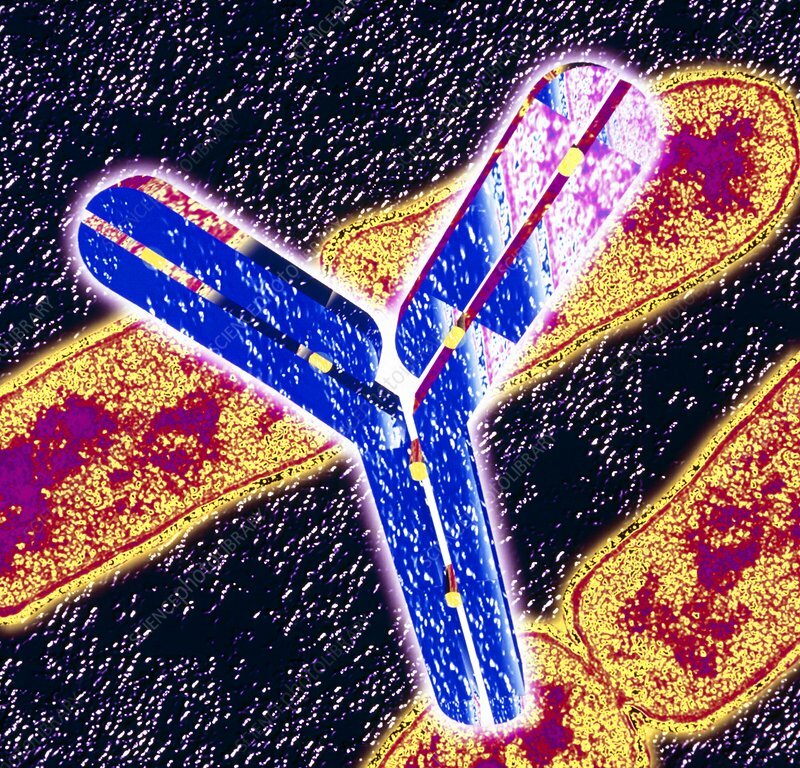 An antibody is a protein made by the immune system to combat infection. Each antibody is made to recognise a particular target antigen type by which the body has been invaded. Antibody molecules have a well-defined structure, with two 'light' (shorter) chains of molecules linked to two 'heavy' chains by disulphide 'bridges' (seen here as the small brownish dots). Antibodies are made by lymphocytes in response to infection by a variety of bacteria, viruses or allergens.